Posted on January 19, 2018 by John Craig. Read time: 3 minutes. 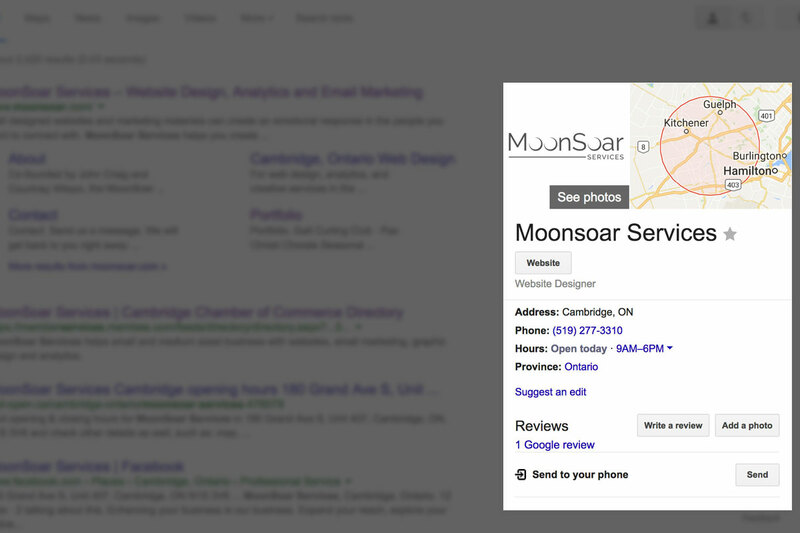 A couple years ago MoonSoar services received a $150 AdWords credit when setting up with a new host. You should check to see if you qualify for an AdWords credit if you’ve recently switched hosts or started a new account entirely. Hosting providers get to promote it as a value-added service, and Google gets to use a page out of big tobacco, and hook’em while they’re young. This was a long time ago in Internet years and before we had client driven demand to expand our service offerings to include paid online advertising. I had just gone through Google’s Analytics courses and hold a degree in commerce, which involved large marketing component. I though it would be child’s play; and I couldn’t have been more wrong. 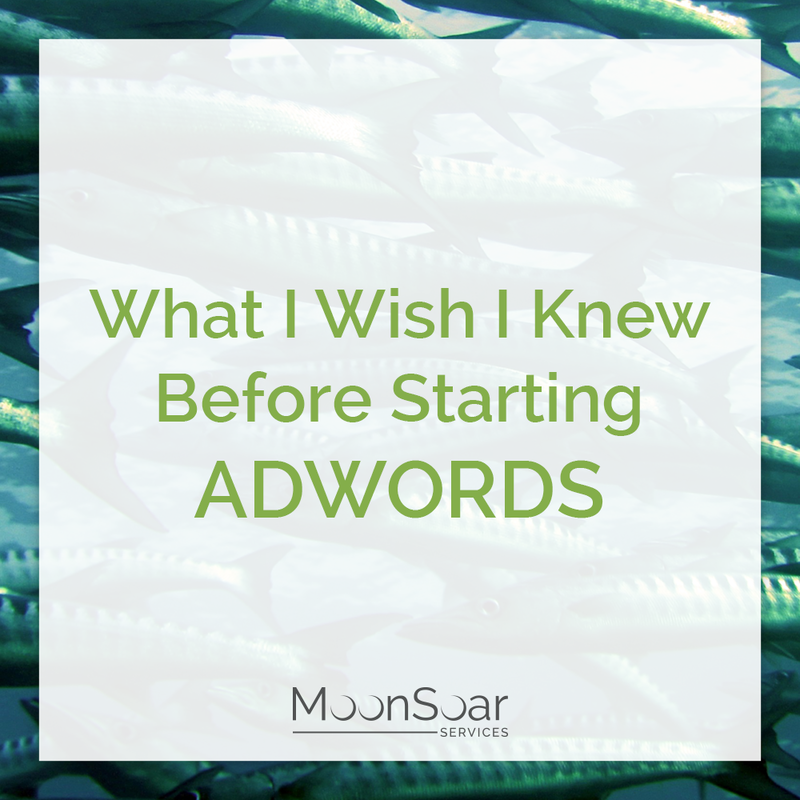 I’m very happy to have gone through proper AdWords and AdSense training since then, and even happier that I paid for my rookie mistakes myself through trial by fire. How you approach AdWords (search ads) and AdSense (display ads) will vary greatly depending on your products, services and your location. I know that sounds obvious, but it leads to important bidding strategies and prevents you from running a campaign to blow through your budget quickly. Segment, segment, segment. Especially if you are just dipping your toe in the water. Online marketing and advertising requires you think long and deep about the market segment you’re trying to reach, the demographic characteristics of your target customer, the geographic region/sub-region, the device you want to reach them on and your call to action. Effective campaigns are laser focused. We are not throwing the trawling nets behind the ship and wanting to pick up every tin can, old shoe, tire and the odd crab. If you want yellow fin tuna, you figure out what waters they’re in, what depth they can be found at and what size they should be. If I’m trawling Google search, I don’t want to bid on anything that has “fish” in the name. That brings up gold fish crackers, a card game and salmon spawning in rivers nowhere near my boat. I want to specify through my keywords and other various levers exactly what I’m targeting. It’s tempting to not want to run the risk of missing out, but you’re far better served by fewer quality leads focused on your ideal outcome than trying to cover anything. Eventually you can run multiple campaigns each focused on a specific outcome which have a far higher return than the carpet bombing approach. Set a daily budget and figure out how much each sale/conversion is worth and don’t over bid for those keywords. Some of the most expensive terms in 2017 included ‘casino’, ‘lawyer’ and ‘loans’, which makes sense. If you’re selling gag gifts for lawyers, it might not be practical to bid on the word ‘lawyer’ outright and you would be better served to qualify it with +gag +gifts. Have a call to action. You are paying money for these qualified leads, make sure the page these prospects land-on is highly relevant and has a clear call to action. Rework the pages over time, optimizing, possibly running A/B testing incorporating what works and throwing out what doesn’t. 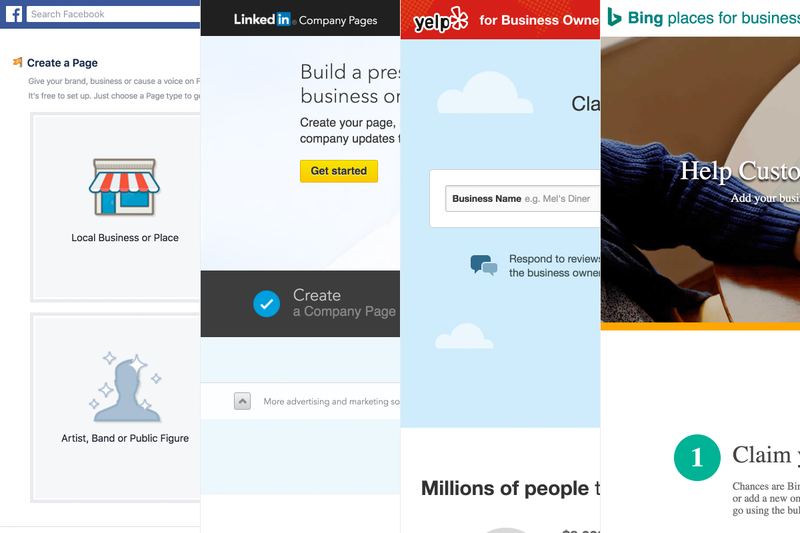 Do not just have someone land on your main page if you have a general website, unless your main page itself is part of an optimized sales funnel. If you sell pet food, and you have an ad for dog food running, make sure the user lands on the dog food page. If you’re a retailer, make sure they are presented with a shopping cart and a promo code, or a coupon and a map. If you’re a wholesale distributor, make sure there is a sign-up form, or something prompting them to call a sales agent. Think about the ideal outcome and work backwards from that. Learn a little about analytics and follow what’s happening. It’s easy to set it and forget it, but as I’ve mentioned earlier, this is a process of continuous improvement. The most successful campaigns have been fine tuned with painstaking attention to detail, and few if any campaigns were run away successes in their very first iteration. Even if they were massively successful out of the gate, I’d suspect there was even more money being left on the table if you’re not adopting the philosophy of continuous improvement. Lastly, don’t be afraid to be flexible and experiment. Nobody knows your business like you do, and nobody but you has profound insights about your situation. This is a marketing channel that is very successful for some, and irrelevant for others. Take a keen interest in how the campaigns are managed, what your ROI is and if something doesn’t work, don’t be afraid to switch it up, or move your marketing budget somewhere that has better returns. You will only know if you test the waters. 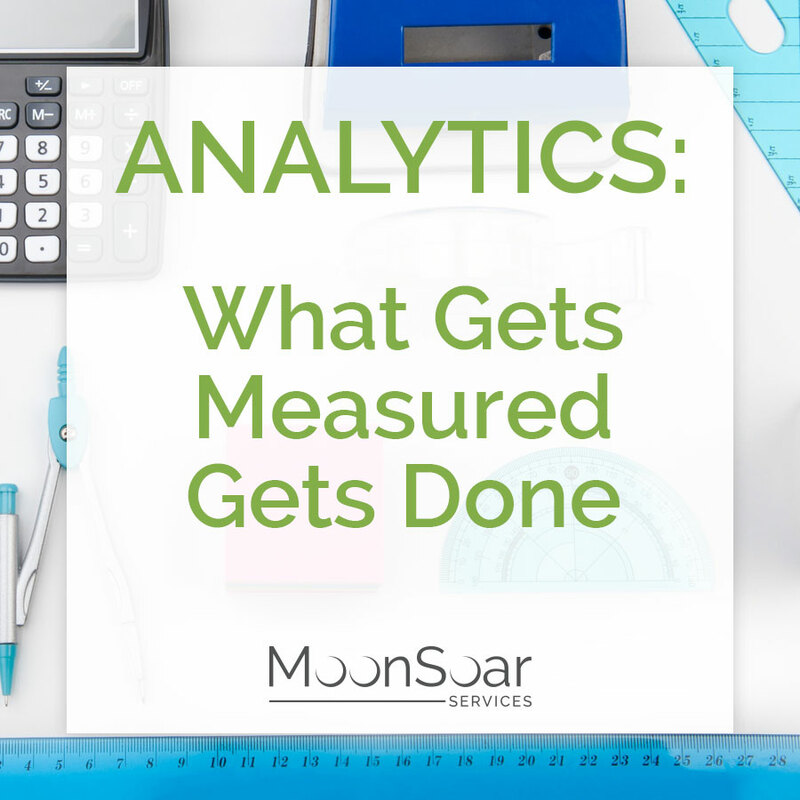 Analytics: What Gets Measured Gets Done.